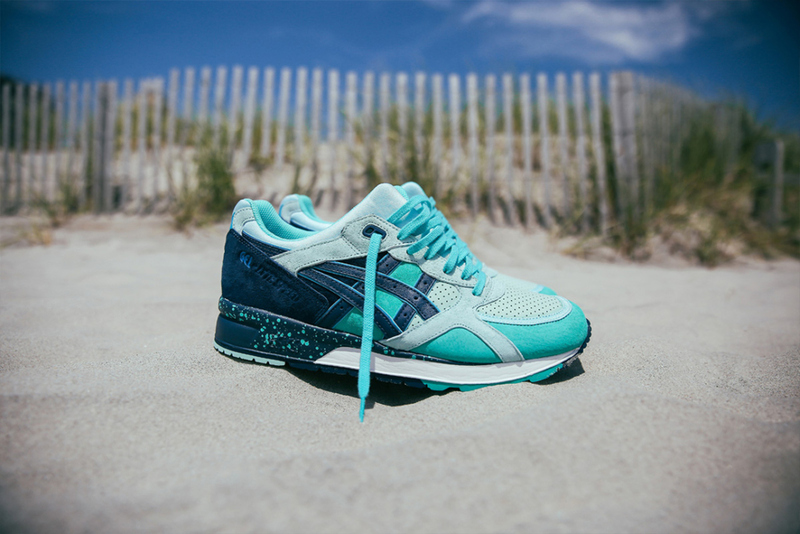 UBIQ taps the underutilized GEL-Lyte Speed for its latest ASICS collab to craft the “Cool Breeze” edition of the runner. Inspired by the positive and refreshing vibes of the summer months — from the clear blue skies to the refreshing ocean waters — the kicks blend together shades of aqua, sky blue, and navy as a perforated nubuck toe box and suede mudguard appear alongside matching overlays, soft leather branding stripes, a speckled GEL-cushioned midsole and a tri-colored outsole. Rounded out with UBIQ-branded sky-emblazoned insoles, the “Cool Breeze” edition of the GEL-Lyte Speed launches this Saturday, July 18 both in-store and online at 10 a.m. EDT for $140 USD.